BMW cars give their drivers a quality ride. The German luxury auto brand provides excellent feats of engineering that range from luxury cars, incredible engines and motorcycles as well. To help you select the right tyres for your BMW, we've compiled a guide. Read on to find out more information about what to look for when you buy the next set of tyres for your beamer. The latest sports car available in this range is a versatile hatch that can give you a first class drive. Make sure you have the tyres with good traction to keep up with the TwinPower Turbo engines. Sizing is available between 195/55R16 and 225/35R19e. Available as a compact coupé or a convertible, the 2 Series are known for their MPV Active Tourer body style. Tyre sizes start at 205/55R16 and go up to 225/35R19. The best tyres should give you the grip you need for a quality sports car experience. This front-wheel drive car gives you a solid engine performance, so you need the tyres to be able to stand up to the task. The best tyres will be sized between 205/60R16 and 225/40R19. This series sees a lot of versatility, with hybrid eDrive cars sitting along side high performance sports car sedans. Choose your tyres sized between 185/70R13 and 225/35R20 for this series, whether you want tight tandling in the city or a tyre that delivers optimum traction on the open road. You deserve quality tyres to match the gorgeous shape and handling of the cars in this BMW Series. The tyres that are equipped to handle the power of the four cylinders are sized between 205/60R16 and 225/35R20. Since you can go speed up so quickly in this car, you'll need wheels with superior tread, whether in the classic sedan or the Gran Turismo model. The tyres for this range are available between 195/70R14 and 245/35R21. This series lets you choose between a coupé and a convertible. There's the dynamic performance you expect with a BMW, with tyres ranging between 215/60R15 and 245/35R20. This more environmentally efficient range of cars comes in a saloon model that gives you a little more fuel economy than most BMW sports cars. Tyre sizes start at 205/70R14 and go up to 245/35R21. This hybrid electric sports car can sprint up to incredible speeds in seconds, which means you must have excellent tyres to accompany you safely. Sizes begin at 195/50R20 and end at 215/45R20. The M model BMWs are a range of sports cars that deliver an even higher performance than the already excellent standard models. If you are looking for tyres for your M model BMW, make sure they can handle the sporty abilities of the engine. Sports car tyres need to have solid tread to give you the control you need. Available in a convertible, saloon and coupé model, choose your tyres according to the terrain that you intend to drive on. The entry level high performance BMW sports cars take tyres that range from 205/55R15 and the larger 275/30R19. This high performance series is a popular BMW sports car with a sleek chassis. 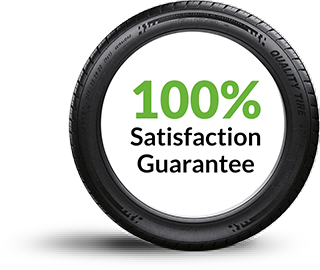 It offers tyres that size between 235/45R17 and 265/35R20. The twin turbo engines on this high performance sports car need wheels that offer serious grip on the road. 255/50R19 107V and 285/35R21 105Y.